How do you drum up interest in the New York City Marathon for non-runners? Can you even think of the last time New Yorkers got excited and motivated to deviate from their normal routine? We can because we did it for the TCS New York City Marathon with a new program called Smile Markers. 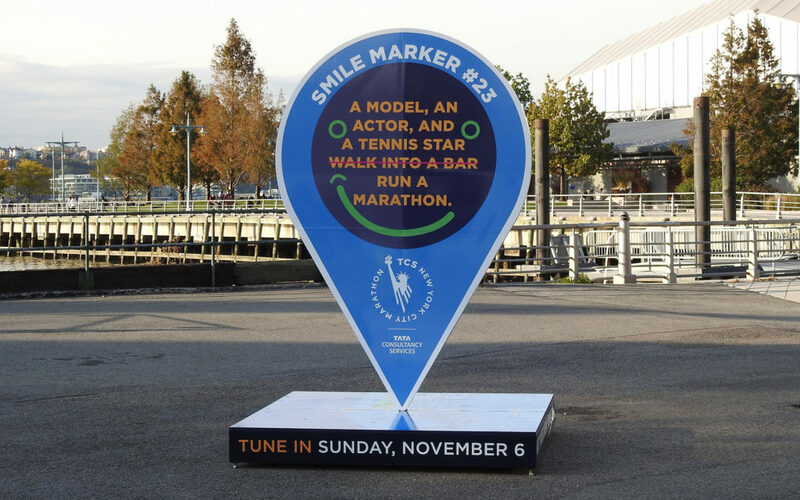 Smile Markers was a real-world and app-based scavenger hunt that used something all marathons have, mile markers. Giant Smile Markers were located across the city’s marathon route that got city dwellers excited about the TCS New York City Marathon. By highlighting locations across the city and making the marathon a race anyone could run (or, we should say, play), we tapped into New Yorkers’ pride and competitive streak through real behavior-changing marketing that, for less than $1MM in the most expensive media market in the US, broke through and created change. The result? 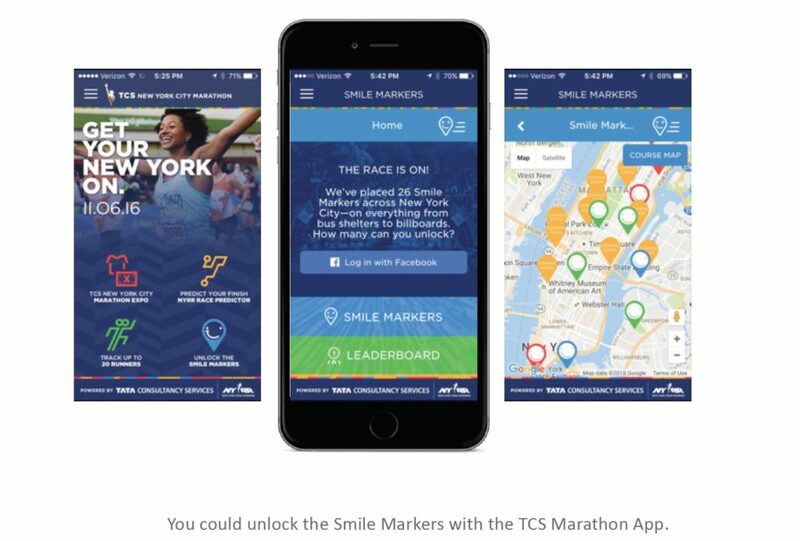 In the month leading up to race day, anticipation was through the roof, and the city was buzzing (and sharing and posting) about Smile Markers while winning prizes, discounts, and most important of all, bragging rights.